Are you looking for more activities for your little ones at home? This fun activity is something they can do with very little help. Shadow drawing. Now you can show your kids how the light from the sun changes our shadows throughout the day. Thank you, Rookie Parenting for this super-cool idea. Check out the full tutorial here. Light travels in a straight line, when it is obstructed by an object it will create a shadow of the object. In order to show this unique result simply gather some fun objects to obstruct the light. You can use toys to create this fun experiment. So, grab some tall, short, large, and small toys to give varying heights, depths, and shapes. 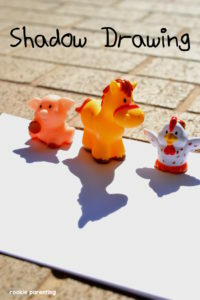 Use a piece of paper or place them on the concrete and create shadows on the cement. Next, you can then use a crayon, or chalk if you are drawing on the cement. Trace the outline of the objects and mark what time of day you captured the shadow. In a few hours come back to the objects and see what changed. Trace the shadow once more. How has it changed? 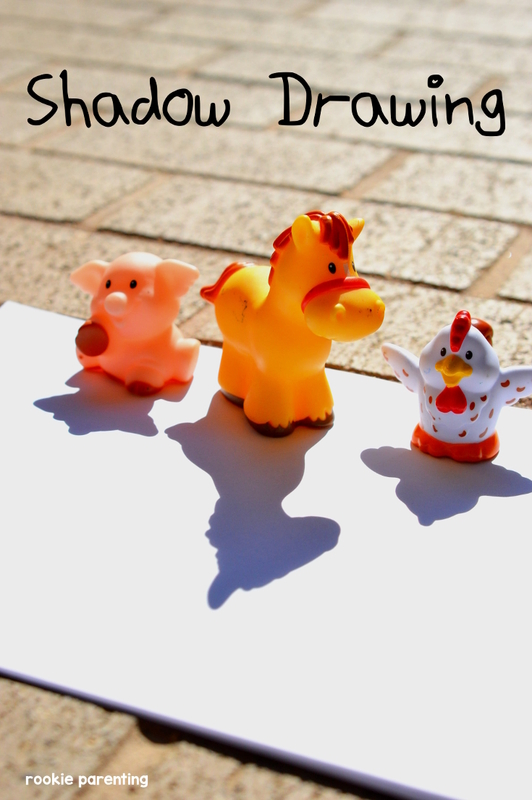 As the suns position in the sky changes so will the way it casts a shadow on the toys. You can follow the suns movements throughout the day and you will see how the length of the shadow changes as the day goes on. Learn more about shadows here. This entry was posted in Learning and tagged Activities, how shadows work, learning, light, PBS, shadow drawing, shadows, sunlight, the boys store, the sun on May 19, 2017 by Lacy.